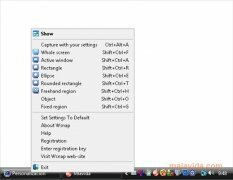 WSnap is a utility with which you'll have the possibility to save everything that happens on your computer's desktop in an image file, being possible to edit the result, add watermarks or send it to whoever you want on the Internet. 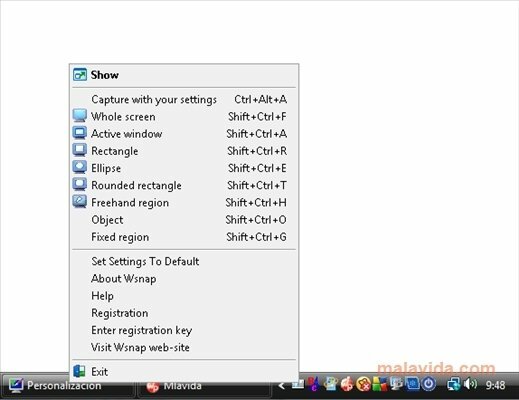 The program has a simple menu from which you'll control its functions and options (full screen captures, select the area to be saved,...). As well as the main window, the application has a section to process the resulting images, from which you'll have the possibility to change the size, select the format that you want the file to be stored in or to send it to an email address. 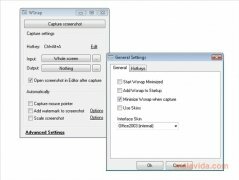 This utility can be controlled by means of a series of desktop shortcuts (that will make it a lot easier to take screen captures) or by means of the menu available from the system tray, without requiring you to carry out the operations from the main interface. 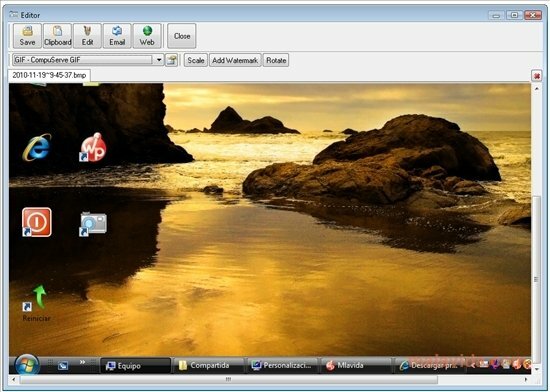 Another of the appealing functions of the program is that it's capable of taking images of Flash elements or DirectX games. 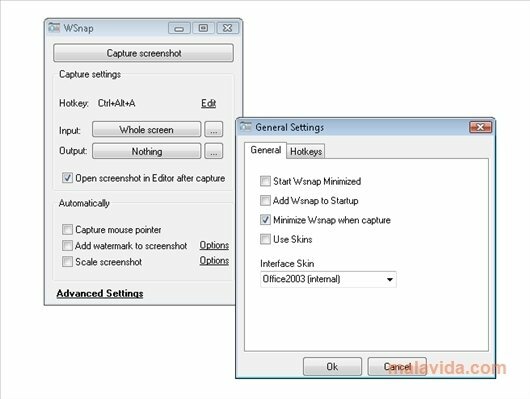 Discover a great tool to take screen captures, thanks to WSnap.